SP111 is one of120 strong fleet of Scania K114 with bodyworks by Irizar. 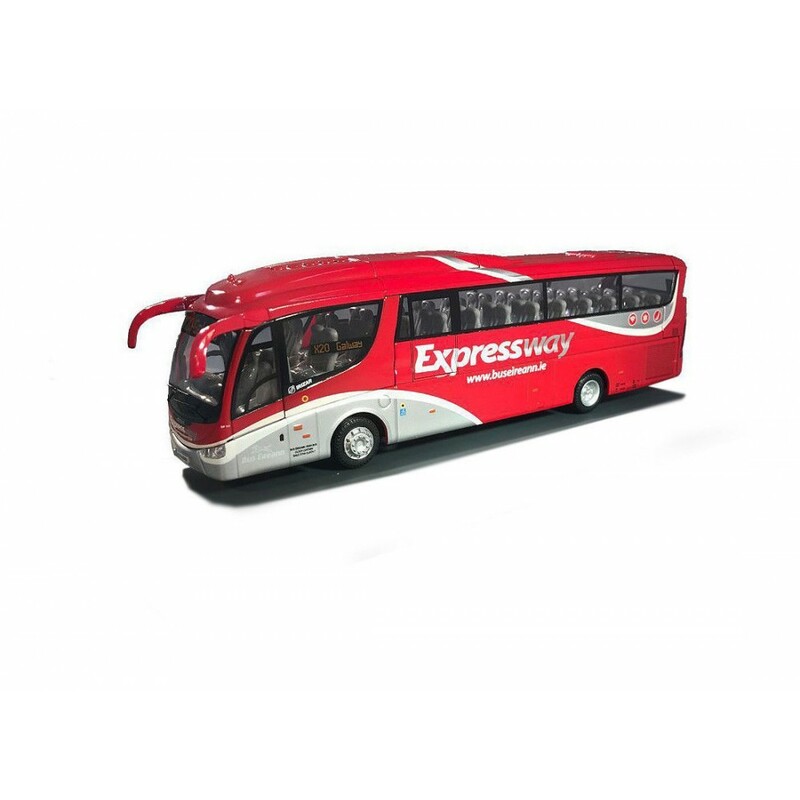 This bus was delivered to Bus ireann in 2008 and allocated to Broadstone Garage in Dublin. It initially wore C.I.E. Tours livery and was allocated to tours. In the guise it would have covered all parts of Ireland and would have made frequent visits to the UK on extended tours. This superb model bus is incredibly detailed and is attached to a plastic display plinth in a clear plastic display case. It is complete with a cutaway card outer box. This model is aprox 16cm long.